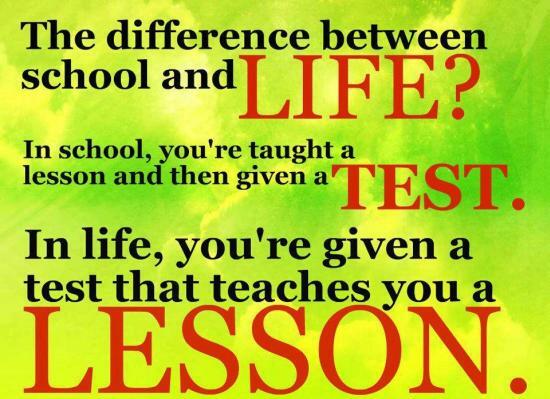 The difference between school and life? In school, you’re taught a lesson and then given a test. In life, you’re given a test that teaches you a lesson.